Leading Manufacturer of stainless steel clamps, ss hose clamps, mild steel hose clamp, double bolt clamp, ss u hose clamps and cng bus cylinder clamp from Faridabad. We are highly acknowledged organization engaged in presenting a remarkable range of Stainless Steel Pipe Clamp. 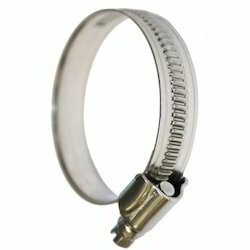 Our range of SS Hose Clamps that is accurately engineered and is fabricated using a high quality of raw material. Our Metal Clamps are designed in a way that they last for a longer period of time and can be used in various applications. Our range is coated with metal to enhance its life and functioning. We also offer them in various sizes, shapes, and dimensions that can also be customized accordingly. 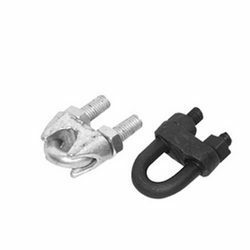 Our range of Mild Steel Hose Clamp that is accurately engineered and is fabricated using a high quality of raw material. Our Metal Clamps are designed in a way that they last for a longer period of time and can be used in various applications. Our range is coated with metal to enhance its life and functioning. We also offer them in various sizes, shapes, and dimensions that can also be customized accordingly. 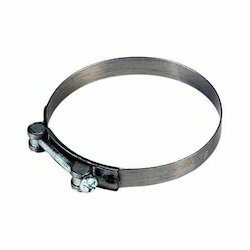 We are leading manufacturers and suppliers of best quality Double Bolt Clamp.